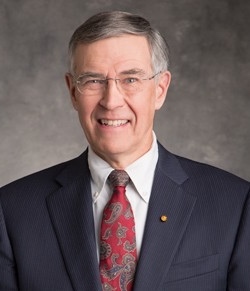 Rush D. Holt became the 18th chief executive officer of the American Association for the Advancement of Science (AAAS) and executive publisher of the Science family of journals in February 2015. In this role, Holt leads the world’s largest multi-disciplinary scientific and engineering society. Before coming to AAAS, Holt served for 16 years as a member of the U.S. House of Representatives, representing New Jersey’s 12th Congressional District. His legislative work earned him numerous accolades. Holt is a Phi Beta Kappa graduate of Carleton College in Northfield, Minnesota, and he holds M.A. and Ph.D. degrees in physics from New York University. He is an elected fellow of AAAS, the American Physical Society, and Sigma Xi, and he holds honorary degrees from Monmouth University, Rider University, and Thomas Edison State College.